Using dryer lint for firestarters isn’t a new idea but I just wanted to share a quick post in case you haven’t tried it yourself. I used to just throw my dryer lint out but then I found it has many handy uses one of which is that it burns easily. Just throw the little chunks of lint and into your woodstove or fireplace as you build your fire. I like to place a small ball of lint at the bottom of the wood stove with my newspaper and then place the kindling on top. Then put the match to the lint to light the fire and you will have a blazing fire soon. 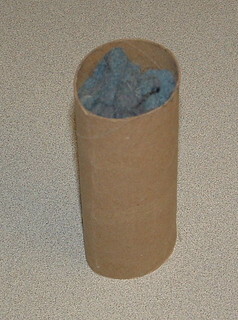 One other useful tip is to save your lint in toilet or paper towel rolls. You shove the lint into the tubes after you clean out your dryer vent. I started doing this recently and it works great to just throw the paper tubes into my woodstove when I make my fire. The lint really is a great firestarter and plus it’s free. Oh and one last idea, if you are out in the woods and need a quick firestarter, check your pockets and get the lint out from the bottom of your pants pockets. Pocket lint works great to start a fire in a pinch. Here are my seedlings after 12 days in my recycled toilet paper rolls. I used the paper rolls cut in half for my plant starts. Here are the details on how to use toilet paper rolls for seedlings. These starts are leaf lettuce and I also have some tomato and carrots seedlings growing. I’m happy to report that all the seeds sprouted in the rolls and are about ready to be replanted into my garden. I’ll post again soon with another progress report. Here is a useful idea for your seedling starts. You can recycle toilet paper and paper towel empty rolls for seedling pots. 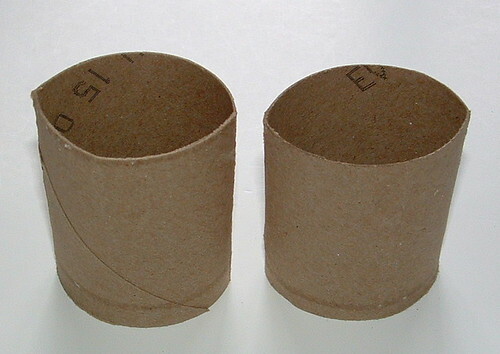 I just cut the toilet paper rolls in half to create little pots for my garden seedlings. 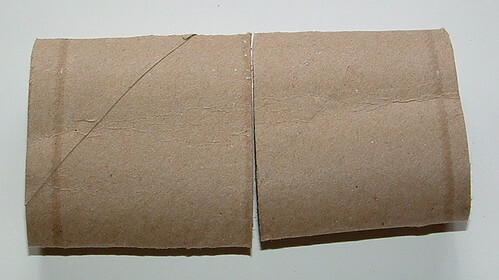 If you recycle paper towel rolls just cut off about 2 inches for each pot. 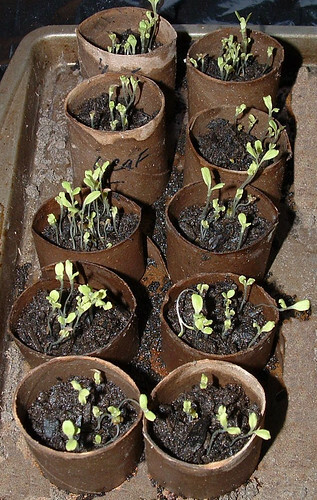 Once I had my rolls cut into pots, I placed them on an old cookie sheet I use for my seedling starts. I did not close the bottom but left it open. Fill the pots with dirt and plant your seeds. Once the seeds sprout and the plants are ready for transplanting into your garden, simply place the cardboard pots into the dirt. With the bottoms open, the roots can just grow out from the bottom and the cardboard will decompose. I just planted about 20 pots today and will post photos once the seedlings emerge from the dirt in the pots.